The era of the model hub as a standalone product has arrived. 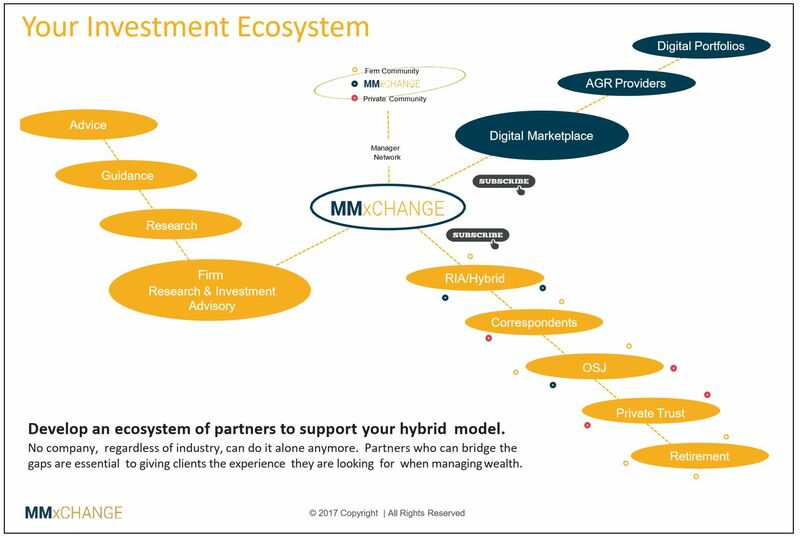 With the launch of model hubs like InvestEdge’s MMxCHANGE, Vestmark’s Manager Marketplace and the soon-to-be released Money Management Institute’s (MMI) Model Hub (the Hub of Hubs), model hubs have moved from internal-only tools that took a back seat to portfolio management and trading and have become distinct products in their own right. It was unified managed accounts (UMA’s) which ushered in the era of models-only, where SMA managers were disintermediated and forced to deliver their investment strategies (made up of a list of securities and their weight) to the sponsor firms who would execute the strategies through their own trading desks. This increased the scalability of UMA’s with centralized control by the sponsors but reduced the profit margins of managers, who hoped to make up the difference from increased volume. As the use of models exploded, the need for a solution to control the flow of information became apparent. Emailing MS Excel files worked in the beginning, but sponsors’ operational teams soon became overwhelmed with the effort required to validate each model and manually enter it into their portfolio management system. Wealth management platform vendors built functionality for model management and to handle communication between managers and sponsors. These components were soon referred to as either model hubs, model exchanges or manager workstations and they automated the updating, communication and validation of models, but their use was limited to only the vendor’s clients. Recently, things have begun to change. 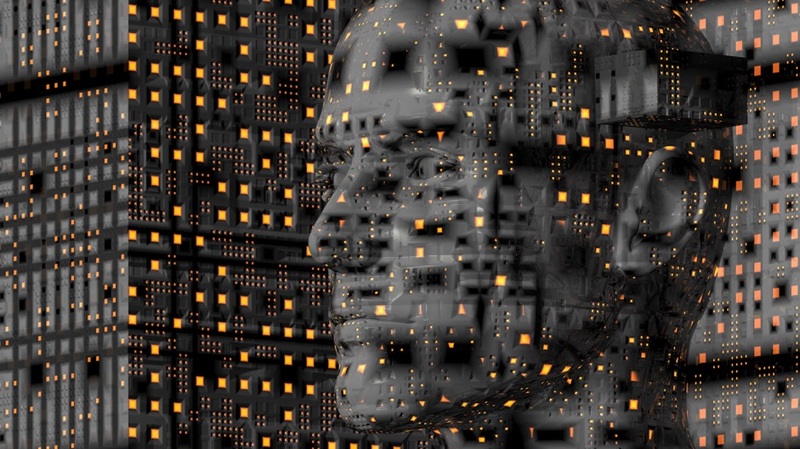 Some model hubs/exchanges have been converted from internally-facing proprietary tools into digital distribution channels where model providers and consumers could connect, outside of the walls of a vendor’s network. Wealth management platform vendor, Vestmark, kicked things off by launching their Vestmark Manager Marketplace last March. InvestEdge, another platform vendor, announced their MMxCHANGE hub just last week. The MMI completed the first version of their hub last year, which they envision becoming the industry standard. Some might refer to the MMI Model Hub as a reincarnation of the DTCC’s ill-fated Model Management Exchange, which was built and pilot-tested before being unceremoniously abandoned, back in 2011. The MMI originated the operational and messaging concepts that were the core of the DTCC project and was determined not to repeat the same mistakes. The board of governors put out an RFP in 2012 and eventuallyselected Envestnet to build and run the hub. They developed the hub and started testing it in March 2016 and are currently in a user acceptance testing (UAT) environment. 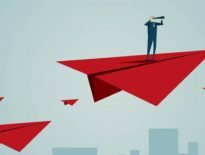 Discussions are ongoing around scheduling a pilot with a pair of early adoption sponsors, Merrill Lynch and Morgan Stanley, in the second half of 2017, according to COO Hilary Fiorella. The MMI, a trade group representing the US$3.2 trillion managed account business, setup a demo of their hub for me. My initial impression is that it is a robust application, with all of the basic model management functionality, but also a host of other tools that will be required when interacting with multiple firms as well as other vendor hubs. The MMI Model Hub UI design reminds me a bit of Envestnet’s ENV2 model manager. Even though the hub was built by Envestnet, they have different teams working on each of the hubs and the MMI hub is housed in an environment that is separate from other Envestnet systems. An exception-based dashboard greets the user upon launch, with a list of issues that require attention including models awaiting approval, pending messages and corporate actions. The MMI Model Hub’s has a well-designed trade rotation feature that provides managers a lot of flexibility. They can create customized rotations and assign them to groups of sponsors or set them up individually. A round robin can be setup that changes the order daily or an acknowledgement option where the system will wait for a pre-determined time. The model edit function has some useful nuggets as well. Managers can set custom drift parameters, limit prices, instructions on trading due to drift as well as price targets based on WAP, VWAP or TWAP. Of course, sponsors can choose to ignore these instructions. A manager can also include a list of alternate securities for cases where the primary security is unavailable. Some mutual funds are not available through certain custodians and client restrictions could prohibit buying specific industry sectors or securities. The demo ran into a few bugs, which could be expected from a product that is running in a test environment. The approval process had a glitch where a few of the unapproved models could not be approved. They have some time to get these fixed before the end of the year. Corporate actions data feed – they need to be entered manually in this version, which is probably an acceptable workaround for most managers. Unless they have an unusually large number of equity models. Model-level comments – there is no field for the manager to add an explanation as to why the model has been updated. Document vault – there is no place for managers to upload their marketing materials for distribution to sponsors. The MMI Model Hub does come with a wide array of APIs that are in place and are available now. APIs are a key requirement if the hub is to be able to communicate with a wide array of vendors, sponsors and managers. Especially vendors, who will want to communicate programmatically rather than using their interface. The MMI is in the process of defining a Model Delivery Messaging Standard of minimum required fields for using their APIs. All of the vendors I spoke with said their firms were open to connecting to the MMI Model Hub, although only Fiserv has publicly committed to doing so. If the two very large sponsors that have committed so far do begin using the MMI Model Hub, they could require the managers on their platforms to use it as well. This would give the MMI Model Hub a great start towards their goal of becoming the industry standard. InvestEdge, based in Bala Cynwyd, PA, is a provider of wealth management technology solutions, primarily to bank trust organizations. They have over $1 trillion in assets under administration (AUA) on their platform. InvestEdge has designed their model hub, called MMxCHANGE, to be an open architecture marketplace to connect not only managers and sponsors, but ETF strategists and investment consultants as well. They also setup a wholly-owned subsidiary to run it, noted Joe Miskel, EVP of MMxCHANGE. Their goal with MMxCHANGE was to create a digital marketplace for investment solutions that can plug in to any wealth management ecosystem. Providing the ability for clients to design their own custom investment platform of any shape and size is a key differentiator, Miskel noted. A novel approach of MMxCHANGE is their inclusion in their network of providers of research, guidance and advice, such as Palladiem, Capital Market Consultantsand the Applied Finance Group. This will allow firms to purchase services such as due diligence, capital markets assumptions and turnkey digital portfolios through the exchange. Another of InvestEdge’s goals in creating MMxCHANGE was to offer an alternative to the all-in-one platforms where the model hub only interfaces within the vendor’s client base. By unbundling connectivity to managers from the platform providers, InvestEdge hopes to disrupt the market and maybe pickup some business for their own platform. This certainly would be a “reach” goal of significant magnitude considering the head start that the other vendors have in breadth and depth of manager connectivity. Miskel shared that they have 25 managers signed, offering 125+ strategies on the exchange. There are 15 more managers pending, he claimed. MMxCHANGE also handles all of the manager contracting and billing, which can be a hassle for smaller firms that cannot afford to hire a dedicated manager support team. Smaller firms might also save money using MMxCHANGE versus going direct to managers, if MMxCHANGE demonstrates that they are moving sufficient volume to qualify for discounts that they can pass along to subscribers. MMxCHANGE offers a document vault where managers can upload their marketing materials, both at the firm level and at the product level (e.g. Product Factsheets). 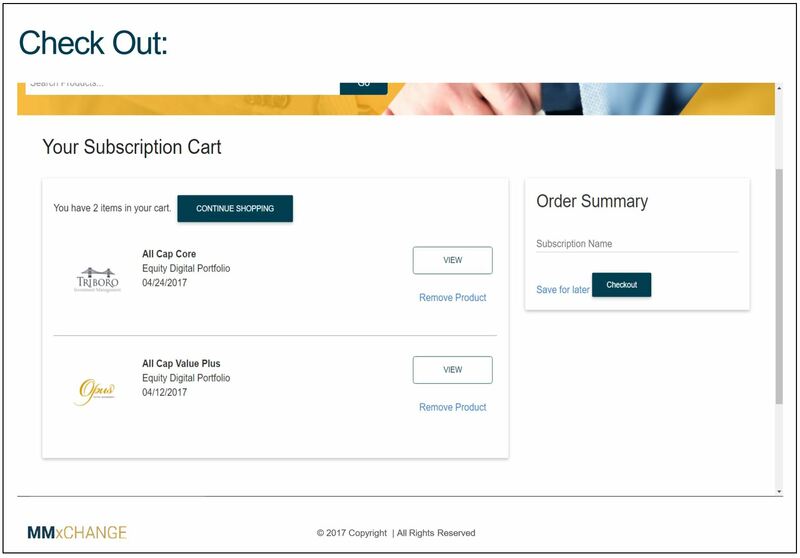 MMxCHANGE was not able to give me a demo, but they did provide some screens shots of the front end for subscribers. The UI is what one would expect from an open marketplace, one where providers and subscribers can interact on their own, without having to involve MMxCHANGE. This is very different from the other hubs, where an offline communication must be made to the vendor before a sponsor and manager can connect. One major difference between MMxCHANGE and the other platforms discussed here is that it is built on a separate infrastructure from the InvestEdge platform. There must first be connectivity setup between MMxCHANGE and a sponsor’s portfolio management system for it to be able to receive the model data from any new strategies they subscribe to. InvestEdge has created an open architecture platform that could become a threat to some of the other platform providers since they are offering their model hub services unbundled from any other wealth management components and with a markup of 50-70% less. If enough managers, consultants and other providers sign on, sponsor firms might begin to evaluate their current platforms to see if unbundling could provide them greater flexibility at a lower cost. Vestmark, based in Wakefield, MA, is a provider of unified wealth management solutions for asset managers, bank trusts, broker dealers, and wealth managers. They have around $750 billion in AUA, UBS is their biggest client, and last year they closed a $30 million round of funding from Summit Partners. The Vestmark Manager Marketplace (VMM) was launched in March 2016 and is being run by their new RIA subsidiary, Vestmark Advisory Solutions, which was created for this purpose, according to managing director, Alex Morris. VMM will handle the operational due diligence, manager negotiation and contracting, as well as the fee calculation and payment between sponsor and managers. Similarly, asset managers gain access to multiple distribution channels via a single portal and with transparent reporting and invoicing. Vestmark will not be offering overlay services or any advice through VMM, instead only acting as a middleman between the parties. VMM’s ability to provide operations and administration of separately managed accounts (SMA’s) comes from Vestmark’s 2013 acquisition of the SMA outsourcing group from UMB Fund Services. There is support for both model delivery and direct manager trading of SMA’s through VMM. 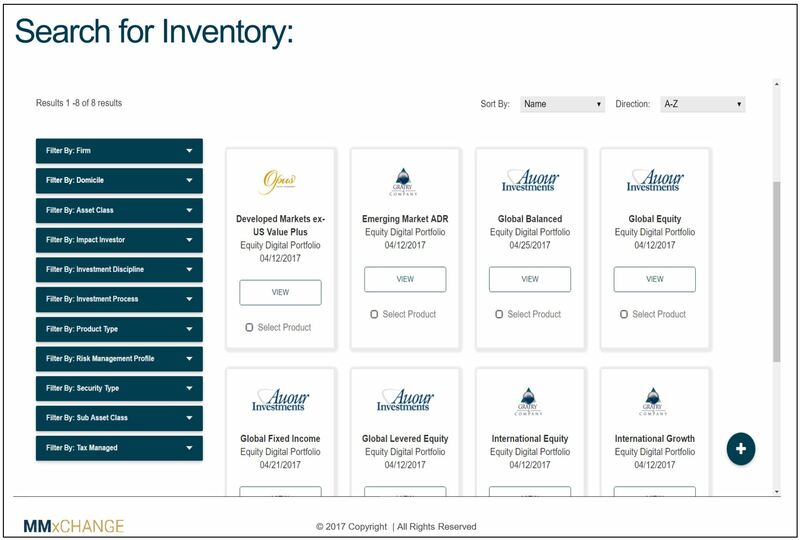 Using this custodian-agnostic service, advisors only have to sign a single contract to obtain access to a wide array of participating asset managers and investment strategists who deliver models to VMM or who manage accounts directly using Vestmark technology. VMM is built on the VestmarkOne technology infrastructure and can communicate with any other Vestmark client or with non-Vestmark clients via an external dropbox, Morris explained. The system automatically creates a Vestmark account for each sponsor-manager pair and begins running analytics to keep track of key data points such as models sent/received or asset assigned to a model. The VestmarkOne model workflow is leveraged by VMM so incoming models can be routed through a review and approval workflow. Since their launch, VMM has added between 50-60 managers with just under 100 total strategies, with 40-50 more in the queue, Morris noted. They also provide asset allocation models from fund strategists Morningstar Investment Services and Wilshire Funds Management. Vestmark said they would like to connect to the MMI hub, but they plan to first run their own hub on its own for a while to build up its track record. FolioDynamix, based in Secaucus, NJ, is a wealth management platform provider that has an RIA subsidiary, FDx Advisors, which offers due diligence, research and access to third party managers. They deliver models from approximately 180 managers and 800 strategists to 50 sponsor firms with over $760 billion in assets being serviced on their platform. 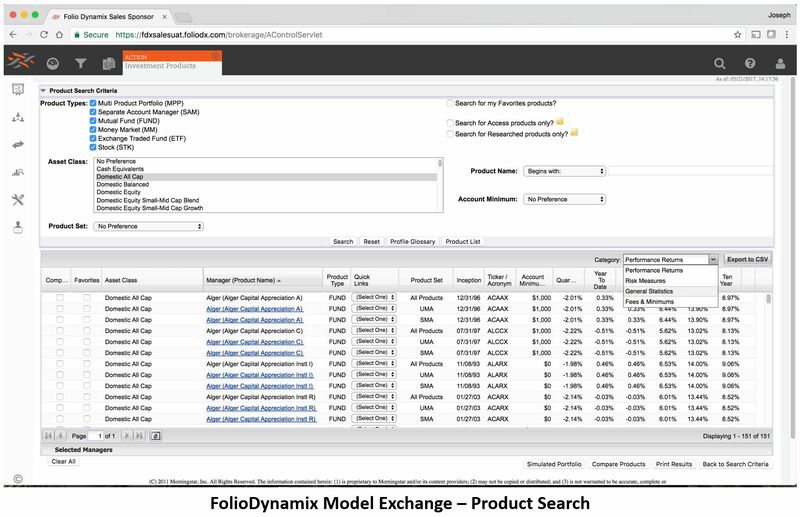 The FolioDynamix Model Exchange is actively being promoted across the industry for both current and prospective clients, according to Dan Ciavarella, EVP and Head of Product Strategy. 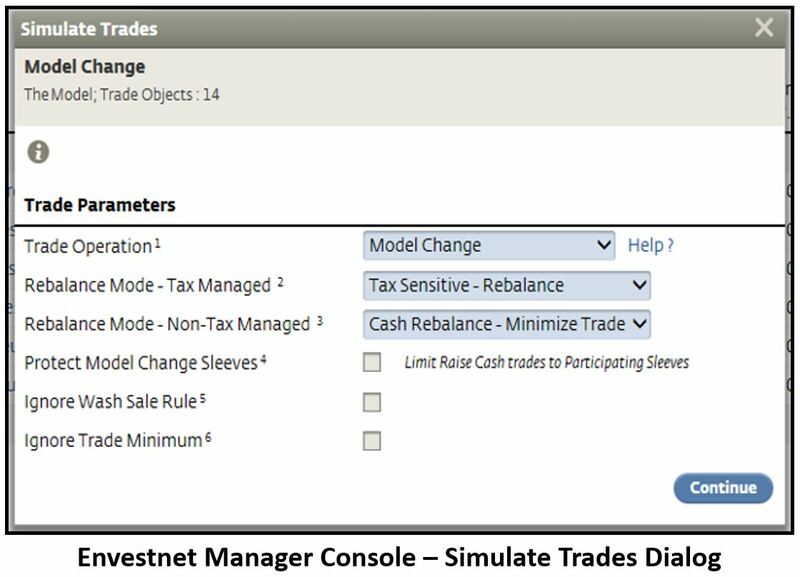 Models can include trade instructions such as drift thresholds, either absolute or relative, one alternate security per position and a hold on a position with a start and end date. The start and end date for hold positions in unique among the model hubs and frees managers from having to set an external reminder to send a another model update just to remove the hold. 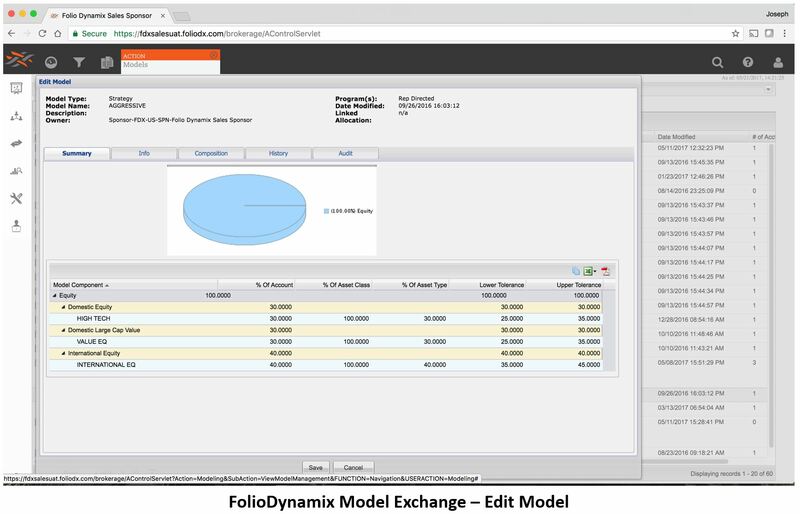 Many of FolioDynamix’s sponsor clients leverage the Model Exchange to connect to investment consultants or AGR providers, although it is actually an undocumented feature of the system. Ciavarella noted that they are now “actively seeking to support” this functionality. If sponsors choose to share execution data, they can transmit it back to the managers through the model exchange. However, managers must handle their own trade rotations. Sponsor firms have the ability to search for specific strategies by product type or asset class and can filter the results by performance, risk measures or fees and minimums. FolioDynamix intends to integrate into MMI’s Hub-of-Hub exchange while also maintaining our platform separately to help foster greater synergy and collaboration across the industry. Envestnet, based in Chicago, is the 800lb gorilla in the manager marketplace. They have almost 800 managers who offer over 1,200 strategies through their platform. Assets on their platform between AUA and AUM are almost $1 trillion. The Envestnet Manager Console is purely an internal tool only for managers and sponsors that are Envestnet clients. Envestnet does offer a single contract to sponsor firms, which gives them access to all managers in their network. 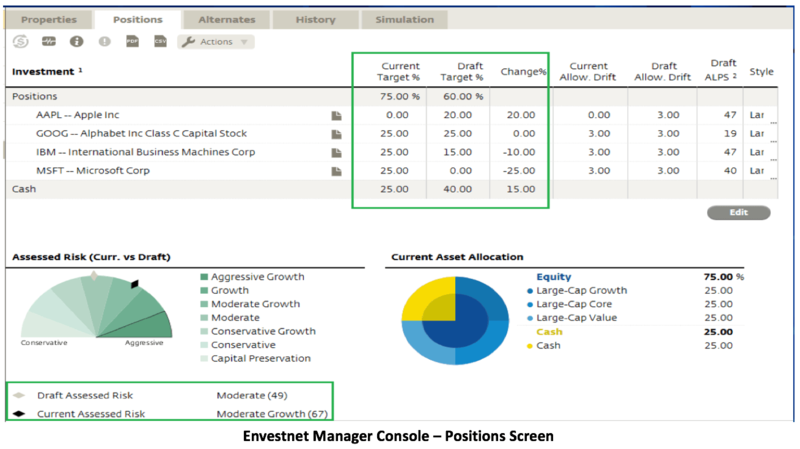 Envestnet has added a host of new functionality to the console since the last time I saw it, making it the most robust model management tool in the industry. A model draft feature was added that allows managers to test model changes and save them without having to submit. When changes are made to an existing model, the system automatically labels the updated model as the draft and the previously submitted model as current. It displays the target weights in adjacent columns with a Change% column for comparison. One very nice feature is the assessed risk gauge (which you can see in the lower left of the screenshot) that shows any changes in the assessed risk between the current and draft models. 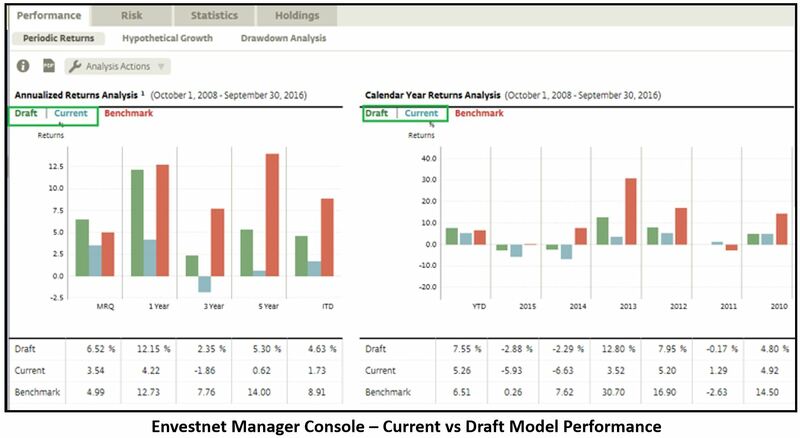 Draft models can be run through additional analytics to display projected historical performance and compared to the current model. Another very handy new feature is trade simulations, which allows a manager to see the results of a mock rebalance and the resulting trades that would be generated if the draft model were to be implemented. This can be used to confirm the manager’s intent based on the number of trades that are generated. These draft features provide powerful tools for managers to perform what if scenarios and test the impact of different changes to their models. The Envestnet Manager Console offers managers a lot of flexibility when including trade instructions along with model updates. A position can be marked as “Don’t Trade”, which tells the rebalancer to only trade this position if the account is being reviewed for other reasons, such as a contribution or withdrawal. This allows the manager to make minor tweaks to one or more positions without having to worry about any of them triggering a rebalance and trading unnecessarily. There is a document vault, but managers cannot upload directly. They have to submit everything to Envestnet compliance who will post the approved documents to the vault. This is a roadmap item for 2018. And finally, direct trading by SMA managers is a feature that has been in the works for many years. While it was the norm for SMA managers to trade their accounts directly before models-only took over, managers on Envestnet had to use another vendor’s tools if they wanted to do this. In the models-only world, direct trading is usually only performed by managers of fixed income or thinly-traded securities, like micro cap. Manager trading has been in production since June 2016 with around 50 managers using it. Envestnet expects to have 100 managers using the direct trading tool by 2018. Envestnet has communicated to the MMI that they have definite plans to connect to the hub and are currently exploring connectivity and implementation options. Fiserv Investment Services, based in Warren, NJ, a division of Fiserv, is one of the largest providers of managed account solutions with over $1 trillion in AUA on their platform. Fiserv acquired the managed account business when they purchased CheckFree Corporation in 2007, which had in turn acquired it when they purchased Security APL in 1996. They were the first vendor to offer a true UMA platform with automated rebalancing and sleeve accounting. Fiserv Information Exchange is a model hub that is integrated within its Wealth Management Network, which currently connects 12 sponsor firms to approximately 130 managers. Recently, Fiserv has improved its performance data, information about model updates, and options for managers to articulate trade instructions. Since Fiserv does not offer manager contracting, sponsors must negotiate a separate contract with each manager they wish to add to their platform. Fiserv said that they have been an active participant in MMI’s discussions regarding model communication standards and will comply with them when they are finalized. Charles River Development, a front and middle office investment management solution provider, launched their Charles River Wealth Hub in 2014. It allows asset managers with managed accounts to consolidate trades and securely distribute account and model updates to multiple sponsors. Their hub does not comply with MMI standards because they use asset manager extracts and convert the data to the sponsor’s required data structure, rather than a single standard structure for every sponsor. I’m very interested to see how this plays out over the rest of the year. 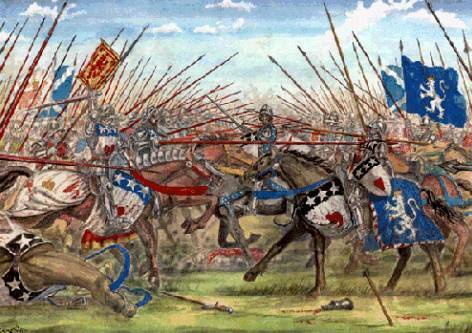 Can MMxCHANGE attract enough asset managers to show up on Envestnet’s radar? Will they be able to connect outside of InvestEdge’s client base and become an upstart challenger to the MMI Hub of Hubs? Will other vendors announce that their hubs are open to the world as well? Will MMI finally get their hub into production with Merrill Lynch and Morgan Stanley? Or will it continue to percolate in a test environment, waiting for the industry to recognize that it is a viable solution to the “everyone has their own hub” problem? Note: My consulting firm, Ezra Group, has previously provided consulting services to Envestnet, Fiserv, Foliodynamix, and InvestEdge.